I own three Kate Spade purses. One is simple unadorned black, one is brown with white trim, and the other is a beige crossbody with soft pink insets on the ends. The latter, like me, is a creative interpretation on a classic design with a bit of flare. All three bear her name on the front, as usual, in small gold letters. I’m sure I’m not alone in experiencing the pleasure a Kate Spade purchase brings. Haven’t most women-of any walk of life–owned one of her purses at some time or other, whether it be a casual purchase or a splurge? Yesterday, Kate Spade hung herself with one of her scarves, a red one, while her husband was in an adjacent room. Rumors have it that she suffered from Bipolar Depression, which is just about the worst kind of depression you can have, marked by cold and relentless despair. I should know, as I suffered from it too, and I also tried to kill myself–but, luckily, did not succeed. Unfortunately, my mother did, just before she turned forty-five. The statistics on suicide are daunting, with the rates for women having increased in recent years to sixty-three percent for those ages forty-five to sixty-five, and two hundred percent for girls ages ten to fourteen. In the U.S. someone kills him or herself every seventeen minutes. Nearly one million worldwide take their lives annually. There is twice as much suicide in America as there is homicide. Ninety percent of the people who commit suicide suffer from major depression or Bipolar disorder. But the statistics don’t give us a personal picture. They shock with their numbers, but don’t capture a close-up photo of the individual who suffers in this most solitary of confinements. Kate Spade was just one woman caught in the maelstrom. An emblem for all the others who go this way. Her death adds to the statistics, but that doesn’t touch down on the loss experienced by her family, or even her public. Though she sold her line of accessories to Nordstrom’s a few years ago for billions of dollars, her fans will never buy a true Kate Spade bag again. Her husband will never again watch her as she chats on the phone with a friend. Her brother will never again laugh at her well-known sense of humor. Kate Spade is famous. Most of the others who die are not, but are equally mourned. When will suicide and mental illness be subjects discussed candidly, in the open? When will the tide of frightening statistics subside? This I do not know. 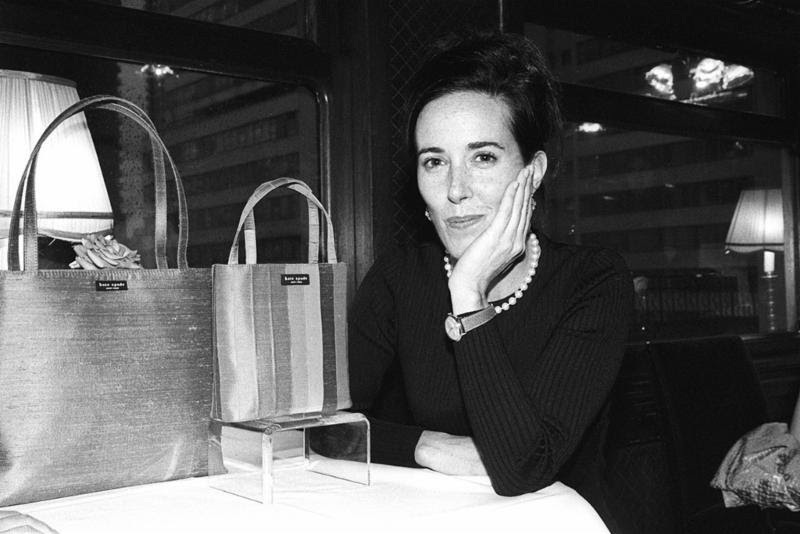 What I am certain of is that if we remember people like Kate Spade, as well as the lesser-known people many of us have loved and lost, then perhaps light will be shed on this disease. Perhaps help will become the priority-rather than scorn and secrecy. Perhaps the shame that depressed individuals endure will ease. May all those who are in such pain that they seek to end their lives find some kind of peace. May they rest at last, untouched by the fire of depression. May they all find support from family, friends and the medical establishment. May fewer die alone.